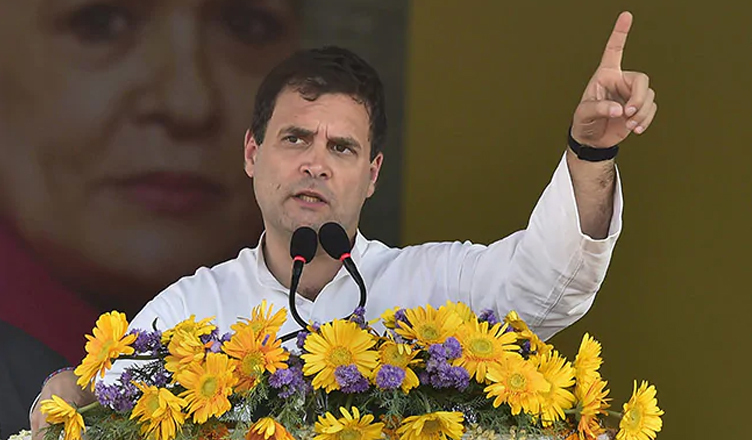 Congress President Rahul Gandhi on Friday said that the Bharatiya Janata Party (BJP) believes that Tamil Nadu should be run from Nagpur (i.e. by Rashtriya Swayamsevak Sangh (RSS), but Congress believes that Tamil Nadu should be run by Tamil people. “2019 election is a fight between two visions of India. The BJP says that only one idea, one history, one culture should be imposed on India. On the other side, we say that there are many different voices in this country. BJP believes that Tamil Nadu should be run from Nagpur. They believe that the PMO should decide the destiny of the Tamil people. We believe that Tamil Nadu should be run by Tamil people,” Gandhi said while addressing a public meeting in Salem, Tamil Nadu. With Demonetisation, Modi destroyed the textile hub in Tirupur. He destroyed the silk capital of the country, Kanchipuram. He destroyed the manufacturing backbone of Tamil Nadu. Did he ask anyone before doing this?